So have you seen the series "Narcos" or probably read about Pablo Escobar and you think you have all that takes to pull this off? No, you don't. However, you can still flex your mental muscle, through high-quality video games. So if you are still looking to taste some of the excitement that comes with living on the edge as a drug kingpin, doing so through a contract multiplayer RPG which deals with underground drug business, then DopeRaider should be a top choice. DopeRaider is a multiplayer RPG world with a unique economy. Every player on DopeRaider starts out as a Narco. In the beginning, the Narco is given an individual skill-set, a home in a district among the seven districts, and some basic consumables. Each one of the seven districts has a unique culture and its own advantages. It is a strategy game which is different from most collectible games because it has a real in-game multiplayer action. In the course of playing the game and performing well, Narcos will have better opportunities, earn more respect, change their identity, be able to buy better equipment, and recruit new Narcos. Narcos in DopeRaider can earn a living, which is in real cryptocurrency, by engaging in activities such as processing cocaine, growing weed, selling a product at district markets or simply raiding other players for crypto coins or other valuables. DopeRaider has a simple premise together a market driven by a solid supply and demand economic design. 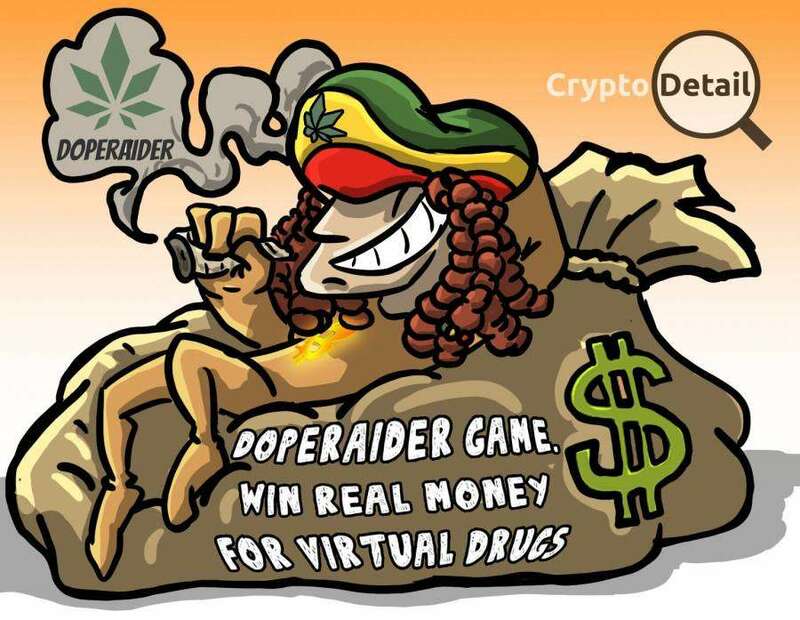 To make a real living, in cryptocurrency, DopeRaider is used by professional bounty hunters. POA is used as the currency in DopeRaider, funds generated from different activities like traveling, producing weed or cocaine, and raiding will serve as a source of funds for the local drug pots. When consumables like gas, upgrade items and ammo are sold, what is generated is used to keep the district economies running. There is no need of creating another token sale because POA is used as the in-game currency. DopeRaider doesn’t need to create a yet another ICO or token sale. The availability of dope by the supplier determines the price of the dope. The price falls, when there is an influx of dope in an area, thereby making the initial price of dope to drop in that area. When there is a scarcity of dope in that area, the price automatically increases, creating a lot of profit opportunities for the player. The district market in DopeRaider is just like the real market because it can be monitored exactly like a real market, where the rise and fall in price are seen, help smart traders select the best arbitrage opportunities. 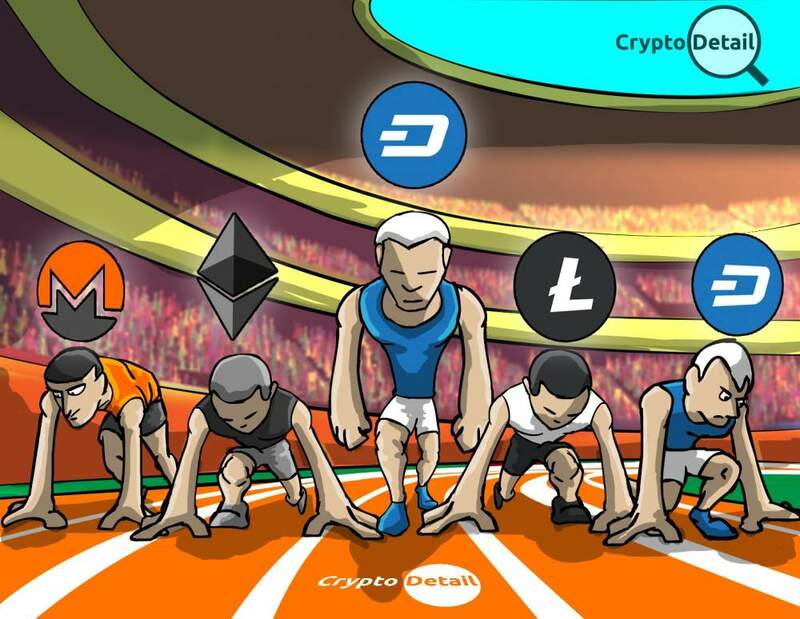 DopeRaider sees itself as a cure to the never-ending fundraising and interminable roadmaps which is the hallmark of most professional crypto games, and for this reason, they are doing things differently. The philosophy behind DopeRaider is to make the system first and not to be an investors club. Once the system is made, it is now released and a community is built. The team behind DopeRaider believe so much that the game will be self-sustaining because of the economy and gameplay. POA is a token which permits two standalone blockchains to have interactions which are safe and secure, via cross-chain bridges. POA opens up a completely new avenue for solving the scalability and connectivity problems, use case. POA Network is a platform that permits highly-scalable games to be built on it, and still be supported by the security of Proof of Authority consensus. POA Network is a blockchain permitting native solidity support. POA is easily compatible in terms of porting over development code from Ethereum to POA Network because it is a blockchain permitting native solidity support. Gamers have the opportunity of minimal transaction costs on POA, which is a fraction of the cost and is three times faster than Ethereum. The bridging technology on POA, especially for ERC-721 tokens, is one which is highly advanced and proven, allowing players to easily close down on their non-fungible tokens, moving from a blockchain to another and then back again. The POA explorer and wallet are both offered in order to create a functional ecosystem that is complete for the development and growth of games. It is built in such a way that all that can be done on the Ethereum network, can equally be done on POA Network. The POA network is a public network that provides the same quality of security, speed, and cost-efficiency found on private networks. POA is a network where you can build your own validators, due to its on-chain governance and ceremony. POA uses DApps for identity, real estate, gaming, crowdfunding, and all others that can be imagined. Why Is POA Network Chosen? The POA network is a public sidechain of the Ethereum protocol, and an open source that has its consensus system to be a Proof-of-Authority algorithm. The platform's aim is to allow easier, faster, and cheaper smart contracts to run and get executed. POA is suitable for fast microtransactions. Games can be put on hold due to huge gas prices and delays, and it is due to this research, that the POA Network is perfect for games. 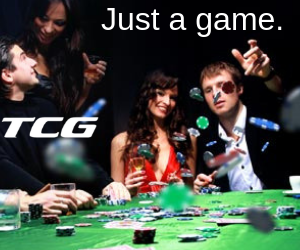 Players are always eager to try out the new network, because of its seamless transactions, responsive and addictive gameplay. The POA Network is highly ranked in the global market cap rankings, and this makes POA cryptocurrency attractive to investors. As the demand for the use of smart contracts increases, there will also be an increase in demand for easier solutions that POA can provide, and this makes the value of the token appreciate. The Governance dApp on the network, which is a voting app, allows votes to be made regarding changes in the network, and both the existing and new ballots created can be seen. 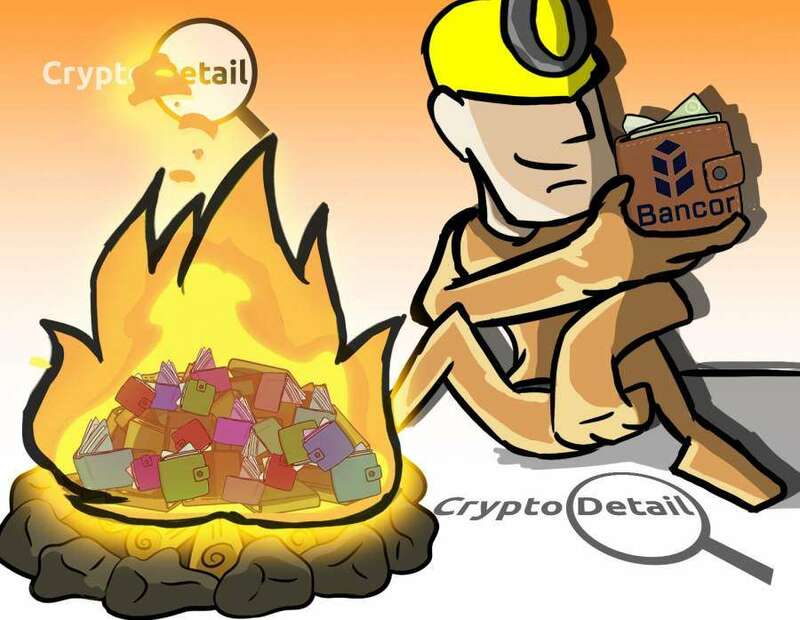 - The need for an open public chain with open source tools, code verification capabilities, and block explorer. - The need for a cryptocurrency with exchange accessible in the in-game economy. - Gas pricing that is suitable for microtransactions and gameplay. The POA Network fits most of this criteria, and it allows users to keep the same address that was used on the ETH Network, and the transfers take less than two minutes to be completed. DopeRaider is a must have for the millennial crypto enthusiast. With the combination of crypto strategy, professional gaming, and risky content, DopeRaider is far from being a cutesy toy. The blockchain design and development is taken seriously on DopeRaider, and it is considered to be a cult classic before it is even launched. One of the most amazing features of DopeRaider, is its combination with the POA Network, though in the short term, may not fetch high returns, it is predicted to be a good investment option for the long term. 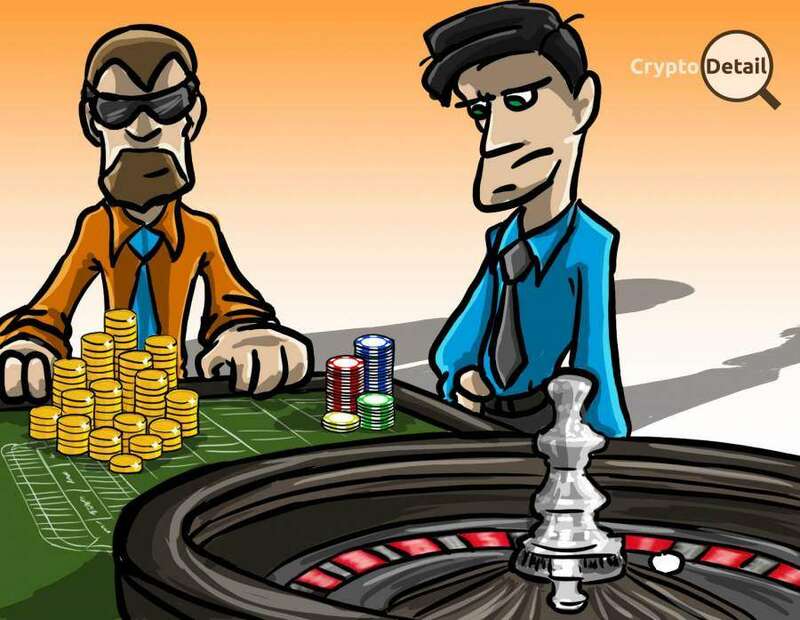 Before investing in DopeRaider, especially if it is mainly for its cryptocurrency gain, it is advisable to look up the POA platform, its whitepaper and all the information that can be gotten, as this is a precaution that helps you be aware of what you are getting into.